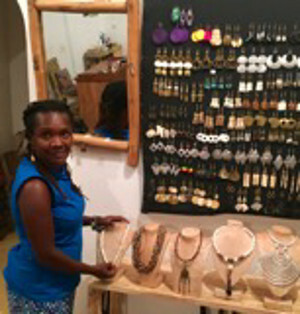 Beatrice Nyambura Wahu is the owner of African Corner, an art and craft business, located in Lamu, Kenya. Born in the impoverished neighborhood of Kawangware, Nyambura, as she is fondly called, lived for the day she would leave behind the squalor that is still the living condition of the local residents. With limited access to the stuff of wealth, Nyambura's vision of a better life seemed a fitting illusion. Nairobi, the capital of Kenya, is a bustling city that offers few opportunities to its less fortunate citizens. Nonetheless, Kenya is considered the superpower of East Africa. For instance, through a Kenyan initiative, a widely used digital currency called M-Pesa was launched. In addition to this unprecedented technological breakthrough, Kenya, with its island of Lamu, Seaport, and Wildlife, competes with Tanzania for visitors and tourists. Foreign Direct Investment (FDI) from China has financed the construction of a railway that links Nairobi to Mombassa, Kenya's second largest city. 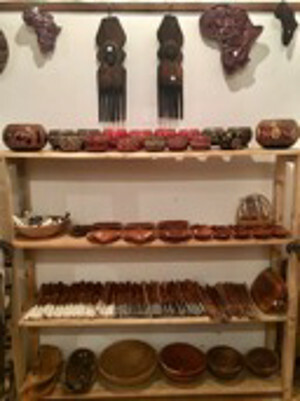 Nyambura is an artist making a living in Lamu from the craft of her art. She started making jewelry, in her small family house, using beads made locally. As sale of her jewelry increased, the need for a larger work space also became more evident. After carefully thinking on the implication of expanding her business, Nyambura decided to apply for a loan at her local bank. "The loan officer came to my house, I told her here are the sofa, television, and fridge" (Wahu). Lucy, Nyambura's mother, could not believe the family's belongings were being used as bank collateral. Lamu is home to a thriving maritime community, and a favorite destination of local tourists and foreign visitors. In 2001, the United Nations Educational, Scientific and Cultural Organization (UNESCO) designated the Lamu Old Town a World Heritage City. It is on this oasis, in the area of Shela, Nyambura chose to relocate African Corner. Looking back at the start of her business, she says, "Some of my neighbors laughed, they did not think beads are a valuable commodity" (Wahu). In spite of her success, Nyambura remains committed to social justice. Currently, she is on the Board of Directors of the Twashukuru Nursery School. It must be noted, African Corner is easily accessible from the main land by air, land, and sea. For more information, please visit @AfricanCornerLamu. June 25, 2017, Lamu, Kenya, Doumafis Lafontant wrote this story for Z Gallery, Boston, Massachusetts.